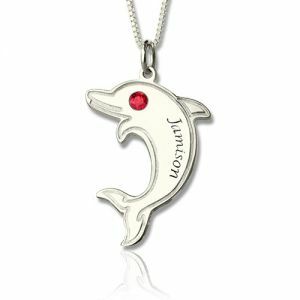 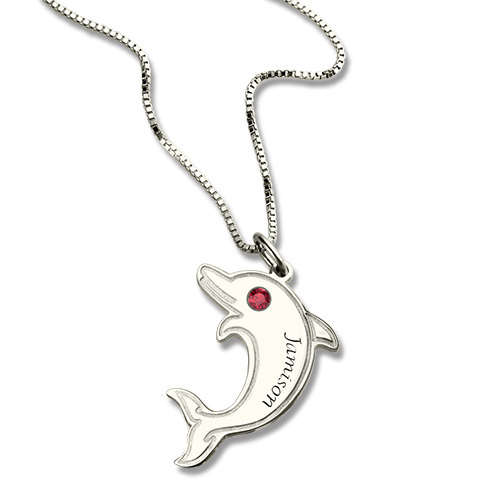 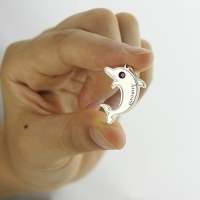 Dolphin Necklace with Birthstone & Name Sterling Silver - This gently leaping dolphin pendant is suspended from high quality box chain to hold this playful creature close to your heart wherever you go! 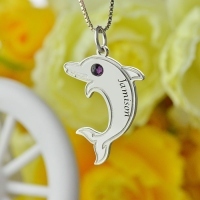 For this dolphin necklace, you can not only engrave it with any name or word you want, but you can also choose the birthstone for the eye as well as the different color for each month! Just as these creatures inspire awe in the wild, everyone will admire you when you wear this lovely piece.